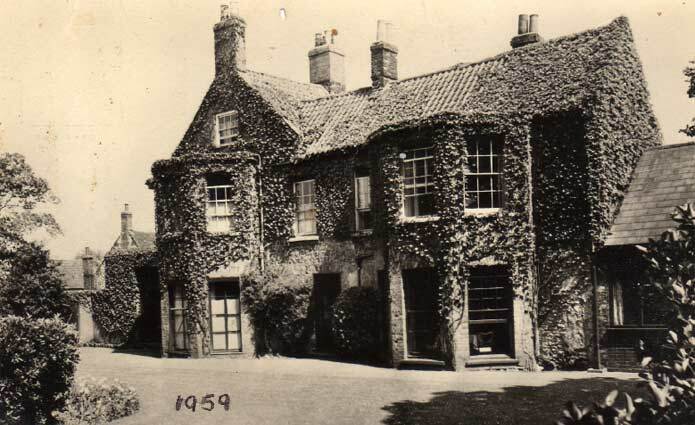 The story of The Lodge dates back to 1542 when a farmhouse occupied the site which was opened by William Bretton. At the deaths of two subsequent occupiers of the farmhouse here, inventories of their belongings were made. Thomas Rayner’s inventory of 1633, states that his brewing vessels with two beer firkins were worth eight shillings. The one drafted for Edmund Richardson in 1728 indicates that he made leather goods as well as running the farm. From 1728 until 1785, the property was owned by the Mason family. Shortly after acquiring it, they rebuilt it along lines which still survive for the most part. Although The Lodge was a brick facade, its walls also include locally-quarried white clunch and gingerbread-coloured carstone. During the 18th century, Old Hunstanton was a particular haunt for smugglers. According to the Norfolk Chronicle, on the night of 26-27 September 1784, a group of smugglers found Customs officers and a party of General Elliot’s Light Horse Dragoons lying in wait for them. Attempting to reclaim their contraband that the officers of the Crown had seized the smugglers shot dead William Green a custom officer and Private William Webb of the Light Dragoons from their horses in the ensuing exchange of fire. Subsequently Captain William Kimbell and two of his crew, namely Andrew Gunton and Thomas Williams, were arrested and taken to be gaoled in Norwich Castle. At Thetford Assizes the following March, Captain Kimbell and Gunton were acquitted after a re-trial, the prosecution having accused Norfolk juries as unlikely to find smugglers guilty. From 1792 until 1825, The Lodge was owned by the Birkbeck family who mostly used it as a weekend retreat. John Birkbeck married Martha Gurney, a member of the famous Norfolk banking family, and managed Gurney’s Bank in King’s Lynn. Martha wrote a number of poems which survive in the Norfolk Record Office; some of these are amusing, but most are sentimental. Widowed Emilia Styleman (nee Le Strange) purchased The Lodge from Henry Birkbeck but was to grant it to her son Henry upon his coming-of-age in 1836. About this time The Lodge was either used as a dower house by Emilia or let to her relations. The census of 1841 recorded it in the occupation of her son-in-law and daughter, Frederick and Emily Fitzroy and their four small children and nine servants. Henry Styleman adopted the surname Le Strange in 1839, and Le Stranges were to own The Lodge until 1925. Between 1858 and 1910, they let this with about four acres of landscaped grounds as a country retreat for wealthy Londoners who were initially charged an annual rent of one hundred pounds. Hunstanton became a particularly desirable place to live in 1862: for in that year it was linked to the national railway network and the Prince of Wales acquired the Sandringham Estate. In 1912, The Lodge was converted into a hotel under the direction of Mrs Mercy Gray. It was spared damage from German Zeppelins which raided the area in the First World War; however, British forces then billeted here were less kind, according to a list of repairs urgently required in 1921.